Born as Louis Mondestin Florvil Hyppolite, he was a black man of the elite class who was chosen by the Constituent Assembly of Haiti, on a meeting in Gonaives on October 9, 1889, to be the nation's president, a title he would hold for a period of seven years. The decision was made following Hyppolite's clash with the then president, François Denys Legitime, who Hyppolite would overthrow. 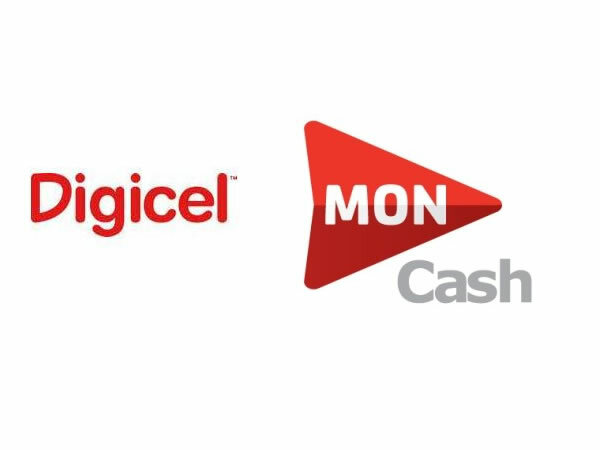 Within that war it is said Legitime had the backing of France and the British, while Hyppolite had tried to secure that of America by guaranteeing the US a Haitian region named Mole Saint Nicolas. From the deal, Hyppolite would receive aid and additional security. 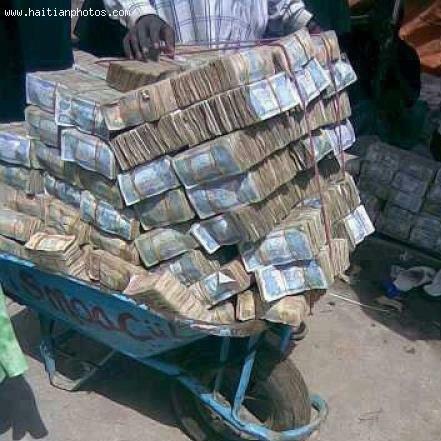 Here is an interesting picture where Haitian currency is being transported via Bourette. 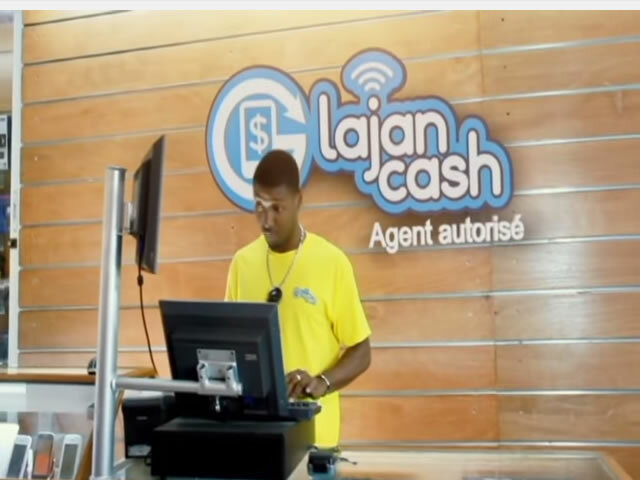 Haiti has long been known to be the poorest of countries in the Western Hemisphere. Still, its GDP growth in 2012 was reported at 1.3% making its annual GDP approximately $13 billion. One of Haiti's problems is that it has a higher inflation rate than other low-income countries in a similar circumstance. It also has to battle a lack of investment opportunities and repeated disasters that cripple the economy. In 2012, the country listed revenues of $1.35 billion, with expenses of $1.446 billion. 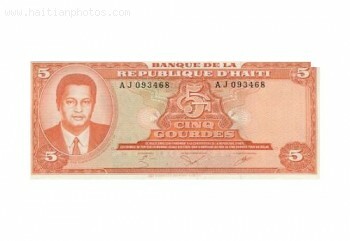 Here is a picture of Haiti currency, specifically Gourde and dollar. 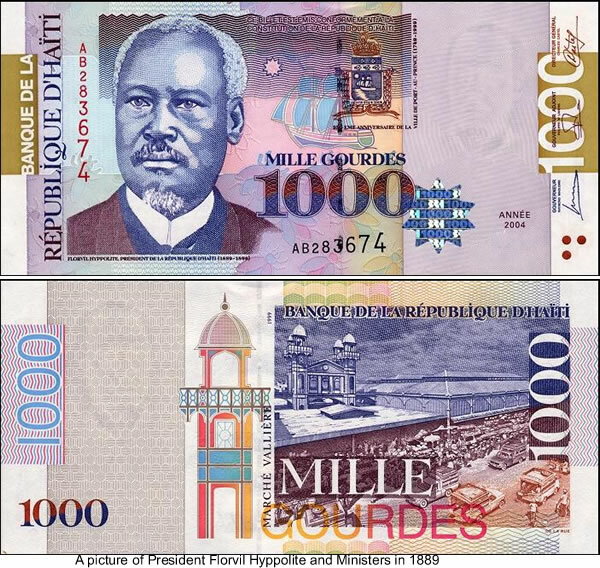 The first Haitian money which is the gourde started in circulation 1813, some 10 years after its independence. 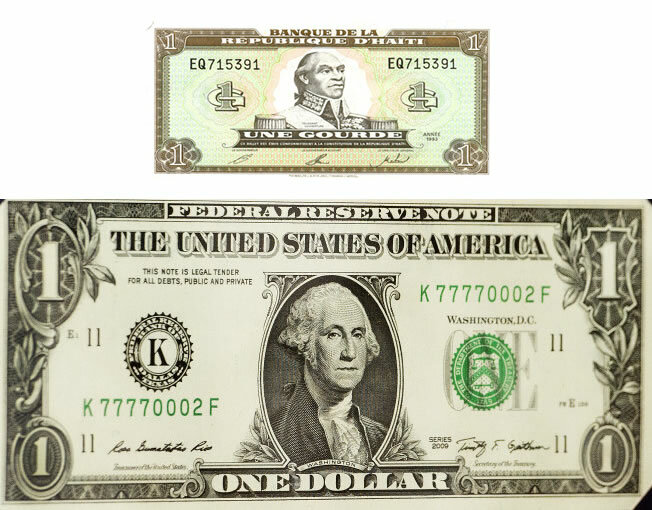 It replaced a previous currency called the livre. The Haitian Gourde was valued at the time at 8 livres. 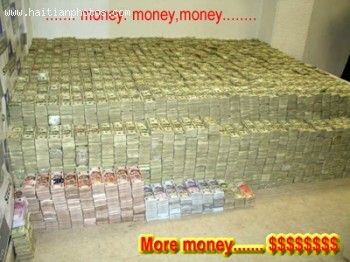 Here is a picture of huge amount of cash found in a room. This amount of money are usually found due to drug activities where the owner or ownerd are not able to deposit the cash in a normal bank.